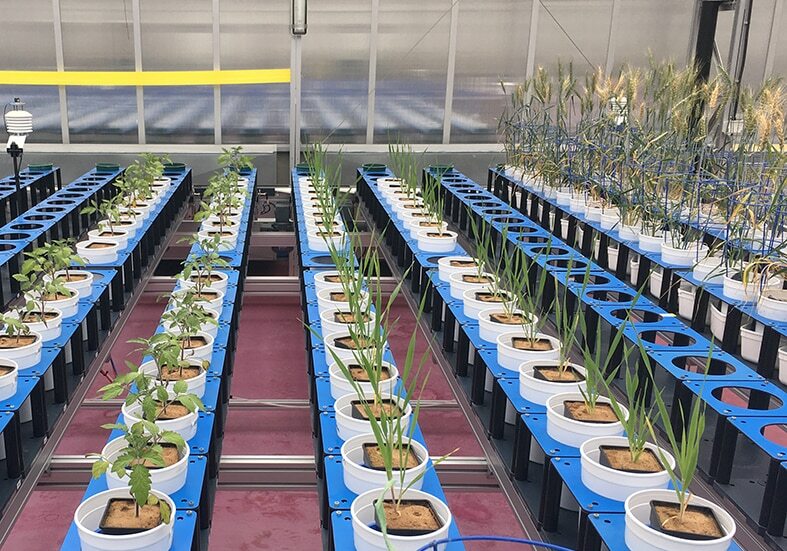 Jannatul Ferdous, a PhD student from the Australian Centre for Plant Functional Genomics (ACPFG), used the high-throughput phenotyping platform at The Plant Accelerator® for her project ‘Drought-inducible expression of Hv-miR827 enhances drought tolerance in transgenic barley’. Jannatul’s research findings have just been published in the journal of Functional & Integrative Genomics. See abstract below. Drought is one of the major abiotic stresses reducing crop yield. 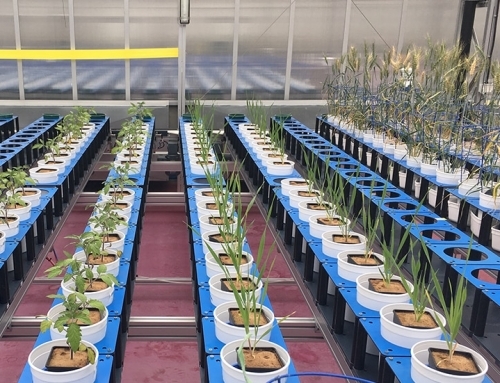 Since the discovery of plant microRNAs (miRNAs), considerable progress has been made in clarifying their role in plant responses to abiotic stresses, including drought. 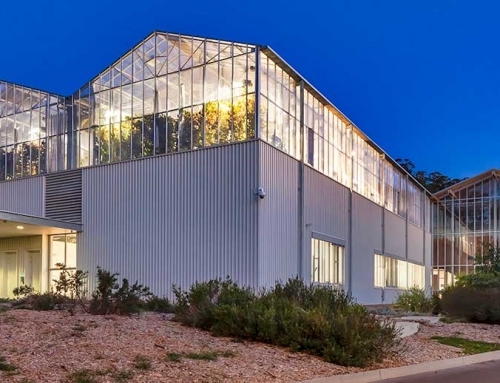 miR827 was previously reported to confer drought tolerance in transgenic Arabidopsis. 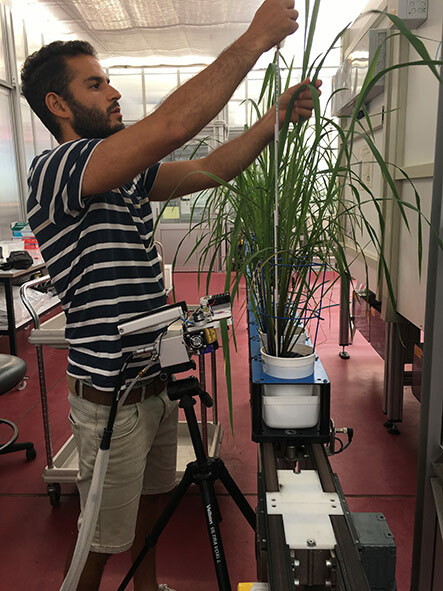 We examined barley (Hordeum vulgare L. ‘Golden Promise’) plants over-expressing miR827 for plant performance under drought. 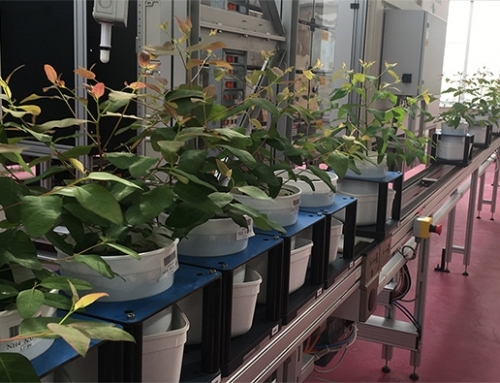 Transgenic plants constitutively expressing CaMV-35S::Ath-miR827 and drought-inducible Zm-Rab17::Hv-miR827 were phenotyped by non-destructive imaging for growth and whole plant water use efficiency (WUEwp). 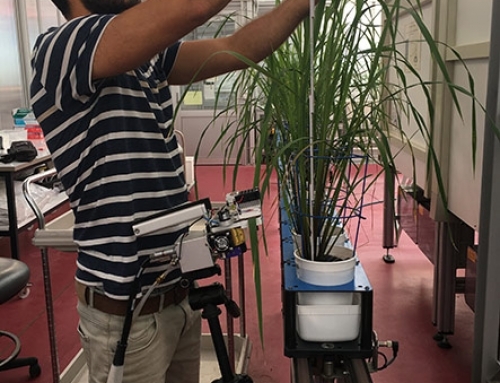 We observed that the growth, WUEwp, time to anthesis and grain weight of transgenic barley plants expressing CaMV-35S::Ath-miR827 were negatively affected in both well-watered and drought-treated growing conditions compared with the wild-type plants. 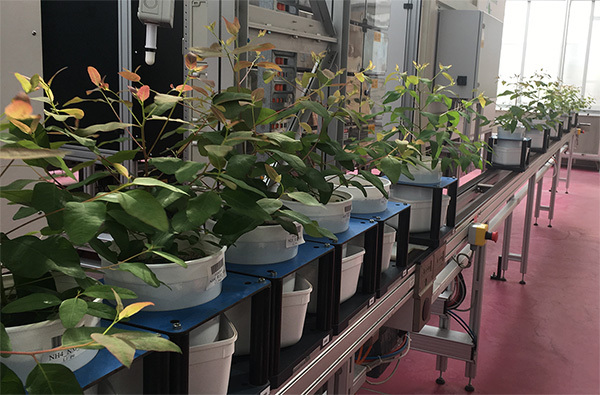 In contrast, transgenic plants over-expressing Zm-Rab17::Hv-miR827 showed improved WUEwp with no growth or reproductive timing change compared with the wild-type plants. 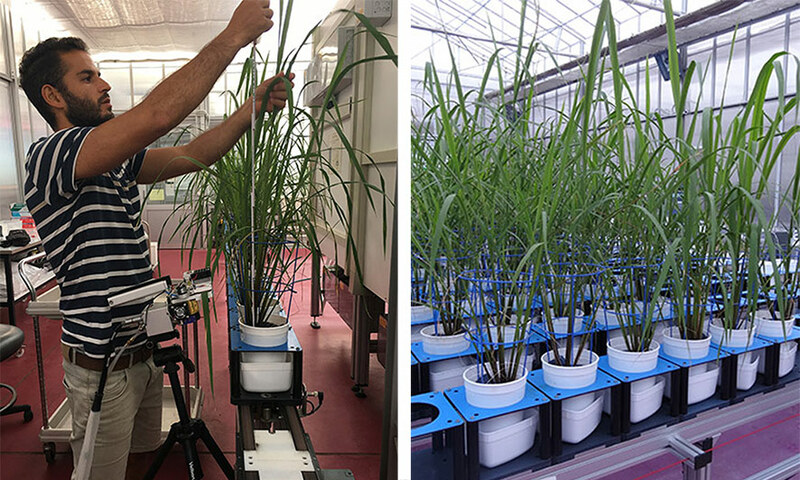 The recovery of Zm-Rab17::Hv-miR827 over-expressing plants also improved following severe drought stress. 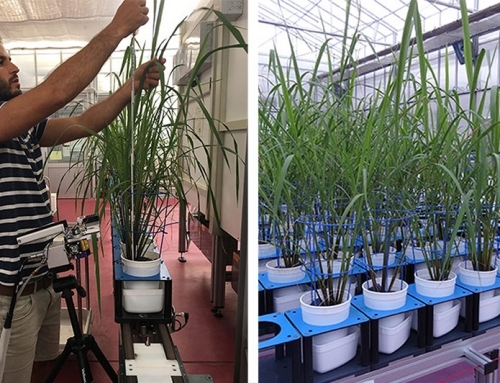 Our results suggest that Hv-miR827 has the potential to improve the performance of barley under drought and that the choice of promoter to control the timing and specificity of miRNA expression is critical.